Café Gerbeaud, in the central square of Budapest, Vörösmarty Tér (Vorosmarty Square) offers people-watching from the outdoor terrace, or the ornate Neo-Classical interior. Order a butter crescent – a cross between a croissant and a bagel – with cold meats and a Jewish egg: diced boiled egg with paprika, chili and sour cream. Four Seasons Hotel Budapest. One of the grand hotels of Europe, on the Danube opposite the castle, it is THE place to stay in Budapest. 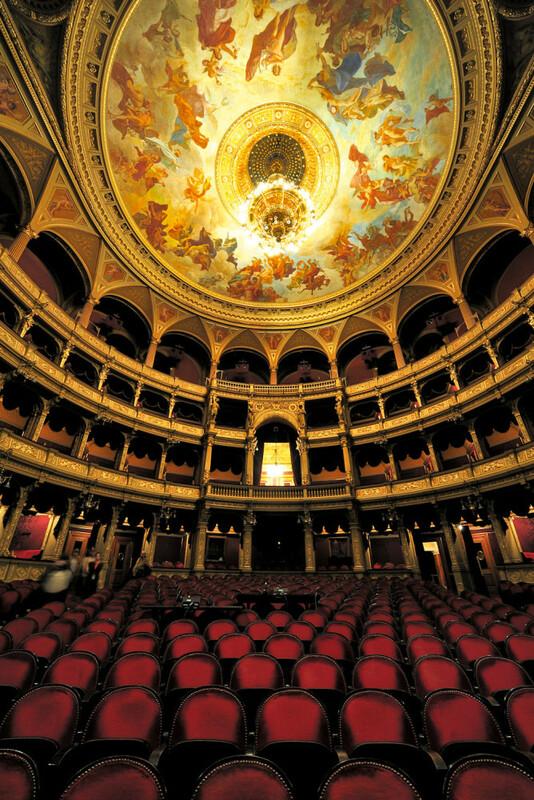 Budapest Opera House, one of many built by Emperor Franz Joseph across the Austro-Hungarian Empire. Rumour has it that his wife Sisi had a Hungarian lover, and thus spent a lot of time in the city. Hungarians are obsessed with Sisi; at Christmas, lookalike pageants are held. At the Gellért Baths, we suggest a two-hour soak in the indoor Art Nouveau baths, which are a little more sedate and refined than the Széchenyi milieu. 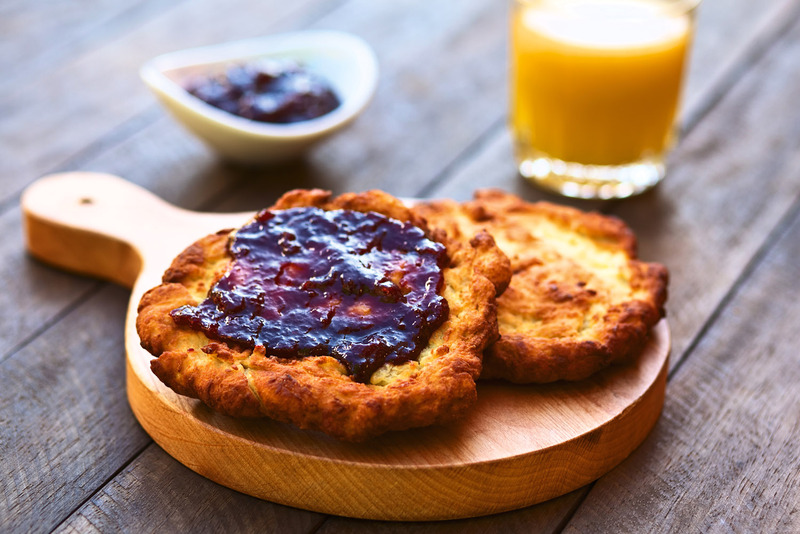 Get off on the right foot with a traditional Hungarian breakfast at one of the famous historical kávéház or coffee houses. Café Gerbeaud, in the central square of Budapest, Vörösmarty Tér (Vorosmarty Square) offers people-watching from the outdoor terrace, or the ornate Neo-Classical interior. Order a butter crescent – a cross between a croissant and a bagel – with cold meats and a Jewish egg: diced boiled egg with paprika, chili and sour cream. Not exactly fun, but one of the most important experiences in Budapest is the Terror Háza Múzeum (House of Terror Museum). Catch the Budapest Metro – the second-oldest underground in Europe – outside Gerbeaud and travel five stops on the Yellow Line 1 to Vörösmarty Utca (street). As the name implies, the museum documents the atrocities the Hungarian people endured under Nazi and Communist rule. The ‘house’ is the old headquarters of the secret police, where much of the terror took place. The curation is highly evocative, with video interviews of men breaking down in tears and instruments of torture on display. A set of gallows last used in 1985 ensure the ‘it could happen anywhere’ message really hits home. It’s a vivid and visceral experience, but an absolute must-see nonetheless. After the museum, you will definitely be ready to just sit and take stock so lunch at another famous kávéház, Művész, which is a one-minute stroll towards the opera house. Simple sandwiches leave plenty of room for the Hungarian dessert of Dobos (pronounced dob-osh), a traditional layered cake with butter cream chocolate and sponge, topped with wafer-thin toffee. After lunch, duck your head into the Opera House, one of many built by Emperor Franz Joseph across the Austro-Hungarian Empire. Rumour has it that his wife Sisi had a Hungarian lover, and thus spent a lot of time in the city. Hungarians are obsessed with Sisi; at Christmas, lookalike pageants are held. Hop back on the metro and head out of the city to Hősök Tér (Heroes’ Square), and one of the other great museums of Budapest, the Szépművészeti Múzeum (Museum of Fine Arts). Emerging from the underground, you will find the football field-sized square, featuring the monument to the ‘heroes’ it is named for: the Seven Founders of Hungary (including Genghis Khan) who came from across the Steppes of Asia. Another ‘punching-above-its-weight’ institution, The Museum of Fine Arts prides itself on showing at least one piece by every Master from across the Austro-Hungarian Empire. If you have any interest in European art, from Medieval, Renaissance, Baroque and Spanish to Dutch and Italian, you’ll find something there. Make a point of seeing Raphael’s Portrait of a Young Man and Arnold Böcklin’s playful Centaur at the Village Blacksmiths. 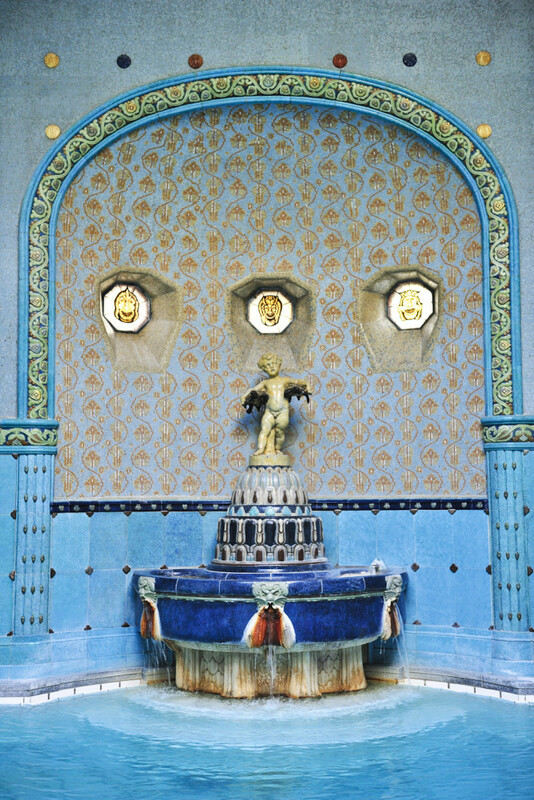 Relax in classic Hungarian style at the Széchenyi Gyógyfürdő és Uszoda – the Széchenyi Medicinal Baths. Budapest is famous for its thermal baths and Széchenyi is the largest, with indoor and outdoor pools. The cherry on top is the crowd: old men play chess in the waters, while men who look like retired footballers promenade with their womenfolk. The baths are also open during winter. Refreshed? Then it’s time to take in the sunset, in the most scenic part of Budapest, the Castle District. Get back on the underground to Vörösmarty Place, stroll across the Széchenyi Chain Bridge and jump on the travelator to the top of Buda. The Matthias Church, with its gorgeous ceramic tiles, was used as a mosque during the occupation of Budapest by the Turks, and it’s been the site of a couple of coronations. Standing sentry at the church, the decorative Fisherman’s Bastion was built by the local fishermen’s co-op. The top of the bastion is the place to be at sunset, sitting at the little bar with a glass of wine. For dinner, head to either Café Kör or Kisharang – two very local choices. Both are over in Pest (down the travelator, across the bridge and up towards Parliament on Sas Utca). Café Kör is in all the guidebooks; think goulash and paprika chicken, decent wine and great service. Even more traditional is Kisharang. Located on Oktöber 6 Utca, parallel to Sas Utca, it’s a cheap and cheerful hole in the wall serving up filling and traditional Hungarian fare. After dinner, wander around the corner to St Stephen’s Basilica, and then have a nightcap at Innio, the wine bar on the corner of Oktöber 6 Utca. Start the day at Gerlóczy, probably my favourite kávéház, sitting in the cobbled courtyard under the shade of an enormous tree. Beloved of locals and visitors alike, there are affordable rooms above the café. Head out of the city to see the statues at Memento Park; expect to pay about $27 for the 25-minute cab ride or you can take two different buses or catch a shuttle. Once there, you can take in the workers’ triumph over the capitalist pigs while ‘friends of the proletariat’ like Stalin and Lenin cheer on. It is hilariously kitsch and pokes much needed fun at the propagandist motifs that were the mainstay of the Soviet regime. Return to the city for lunch at Nagycsarnok or the Great Market Hall. Set over three storeys, the ground floor is dedicated to produce and spices, while the second floor, with its food stands and a few souvenir shops, is where you’ll find lunch. Try the lángos – deep-fried Hungarian flat bread. After lunch, cross the Liberty Bridge to relax in the city’s other famous thermal pools, Gellért Baths. 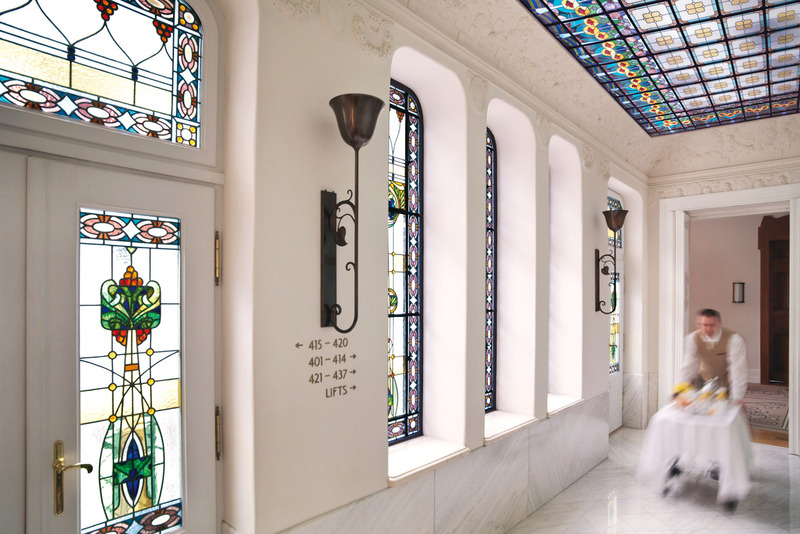 Enjoy a two-hour soak in the indoor Art Nouveau baths, which are a little more sedate and refined than the Széchenyi milieu. 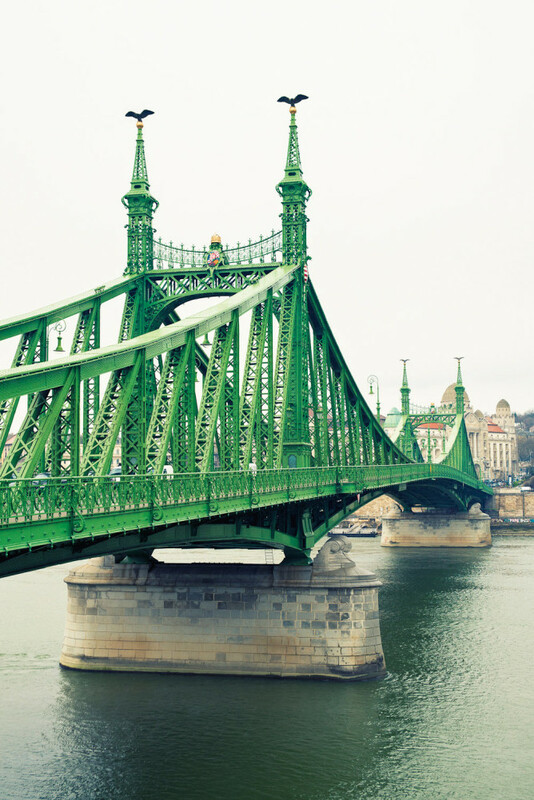 Dry off, cross the Liberty Bridge and then jump on tram number 2, which snakes up along the Danube to the Parliament building. Duck in for a gawk at the grand staircase or, if you are so inclined, take a tour. From Parliament, traverse Szabadság Terrace down Oktöber 6, past our friends at Kisharang to St Stephen’s. The basilica was only completed in 1906 after more than 50 years of problematic construction: the original dome fell into the construction site and all the work had to be destroyed and started afresh. After a quick look inside, buy a gelato and keep wandering to Erzsébet Tér, with its big ferris wheel. Promenade the pedestrianised Váci Utca and, when you get to Kossuth Lajos Utca, turn left. It’s about time for a pre-dinner drink at Budapest’s renowned ‘ruin bars’ , originating when a few enterprising locals turned derelict post-Communist sites into eclectic bars. Crazy, quirky and totally delightful, in the courtyard of the first and most famous bar, Szimpla Kert, you’ll find things like a Trabant converted into a four-person cubicle. 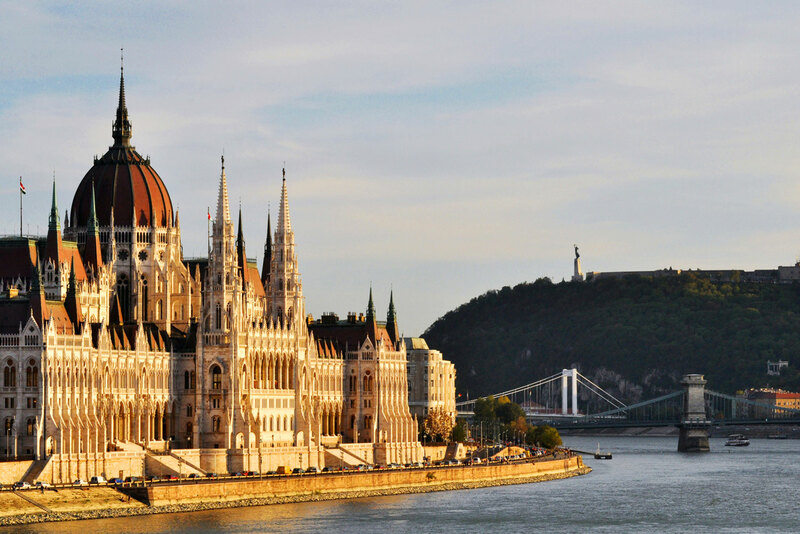 It’s easy to get carried away with the colour and spectacle of it all and stay all night but be warned, Budapest does have the unfortunate distinction of being a popular destination for British stags’ and hens’ dos, so it’s best to avoid the area on weekends. When you wander anywhere in Budapest and particularly here in the Old Jewish Quarter, make sure you look up: bullet holes and shrapnel damage to the buildings are a stark reminder of the bloody battles that took place here during World War II. 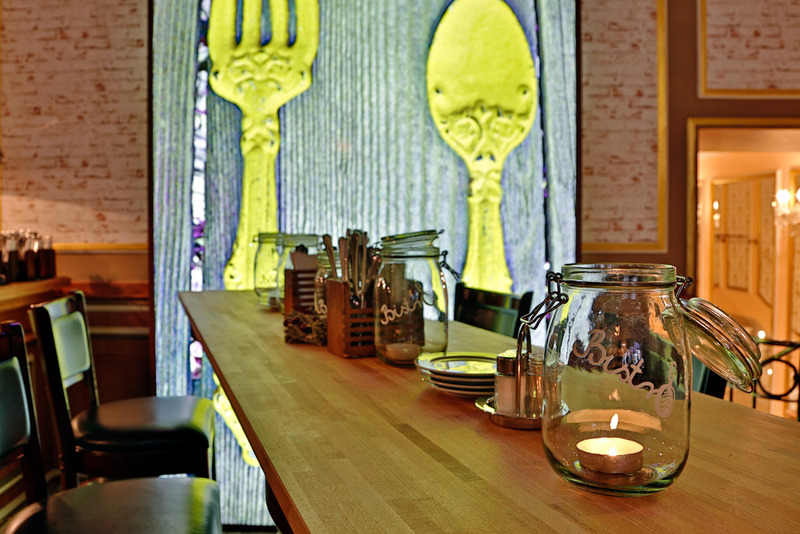 Your last dinner in Budapest should be a little bit posh, so head back to Oktöber 6 Utca and choose from two options. Aszú Étterem serves modern interpretations of classic Hungarian food accompanied by fantastic local wines, the most famous of which is the very sweet Tokaji (Tokay); a glass with dessert is to die for. Almost exactly opposite is Borkonyha, which serves sophisticated Hungarian cuisine that has earned it a coveted Michelin star. One of the grand hotels of Europe, on the Danube opposite the castle, it is THE place to stay in Budapest. Close to the Parliament Buildings and St Stephen’s Basilica. Four and a half stars with funky designs. You know what you are getting, plus great views of the castle and Danube. Decent interiors in a comfortable four-star hotel. The hippest joint in Budapest. Eleven individually styled rooms from tiny to small to large.